DEREK L. SMITH founded Virginia Estate & Trust Law, PLC as a boutique estates and trusts law firm in 2002. In addition to estate planning and other traditional legal services, Virginia Estate & Trust Law, PLC (formerly known as Virginia Fiduciary, PLC) was designed from the outset to provide professional fiduciary services in its corporate capacity. Today, it is a leader among Virginia law firms in a business traditionally served by banks and trust companies. 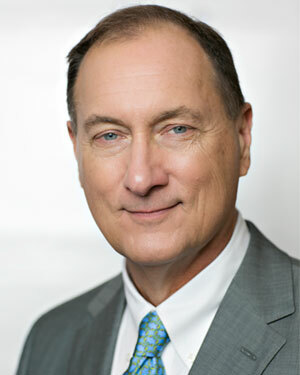 Formerly a partner with Richmond law firms Williams Mullen and McGuire Woods, Derek is a Fellow of the American College of Trust and Estate Counsel (ACTEC). He is listed in Best Lawyers in America® and Super Lawyers®, and is the former chairperson of the Board of Governors of the Trusts and Estates Section of the Virginia State Bar. He is a member of the Law Practice Management Section and the Real Property, Trust and Estate Law Section of the American Bar Association. Derek is also a member of the Estate Planning Council of Richmond and the Trust Administrator's Council of Richmond. Derek has lectured and written extensively on estate planning, estates and trusts, including co-authoring “Tax Planning Forms for Businesses and Individuals”, Warren, Gorham & Lamont, 1985. A Richmond area native, Derek received his J.D. from the University of Virginia School of Law and his B.A. in Government from the College of William and Mary. He currently enjoys serving on the Board of Directors of the Richmond Triangle Players, a local theater organization.